The Galaxy S10 will be one of the most important releases in a long time for Samsung, and the South Korean manufacturer has obviously prepared quite a plethora of major upgrades for the model that marks the 10th anniversary of the Galaxy S lineup. While the design has been refined with an Infinity O display, smaller bezels, and a fingerprint sensor embedded into the screen, the hardware under the hood will also get some love. 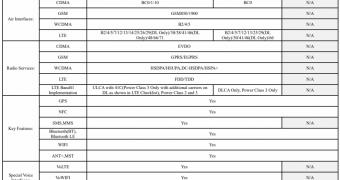 And according to recently-discovered FCC filings, the Galaxy S10 lineup will come with latest-generation technology, including support for Wi-Fi 6.